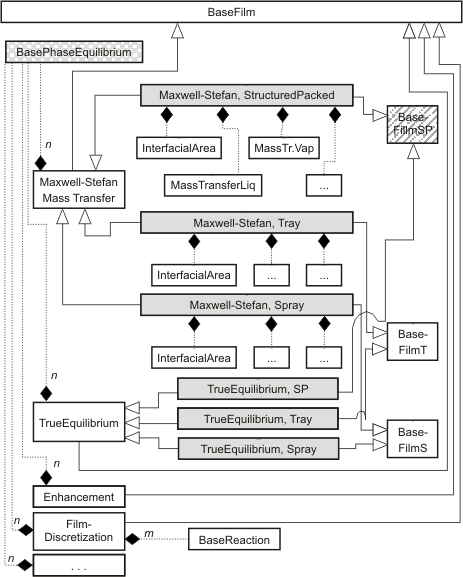 Most film models require values for variables such as interfacial area, mass or heat transfer coefficient. Correlations for such variables are often column type, depended, therefore there exist a package for each column type where the base film models are extended (boxes marked in grey). These models supply the equations for column specific variables. A common base class such as BaseFilmSP (marked with grey hatches) groups all film models referring to one column type.